Human interactions based on the new media change our possibilities to express, to understand and get feedbacks. But more and more “fragments of emotions” are lost in the media. 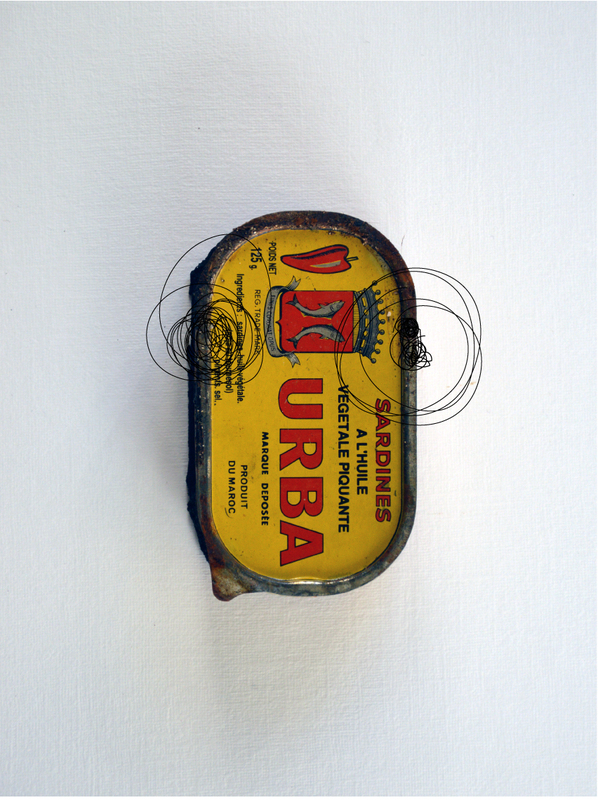 This theme is focused and inspired by sardine cans collected during my travels and kept for many years. Tin cans produced in various countries of the Mediterranean, Europe and North Africa now are damaged and rusted: the memory of food waste. Photographic images with computer graphic scratches. A stylized astonished expression of a human face.